Hello! My name is Julia Beyer and I am the new career advisor for the School of Communication and I thought I would take this opportunity to introduce myself. In my first couple of weeks, I have enjoyed a warm welcome from the Career Center in addition to the faculty and staff at SOC. Before AU, I advised graduate students in international affairs at The George Washington University for four years. In my time there, I helped students and alumni with their career development through advising, programming, and marketing tools such as a monthly newsletter. I look forward to applying many of the skills I have developed in my previous position to students in the field of communication. Here’s a general principle for all students to take note of: engaging as a volunteer in work that matters to you can pay off tremendously for your career. Whether it’s an on-campus organization, or an off-campus cause or professional association, if there’s a “world” where you want access, you can get it by being an active, dependable volunteer, building a track record, and leveraging your involvement to best effect. 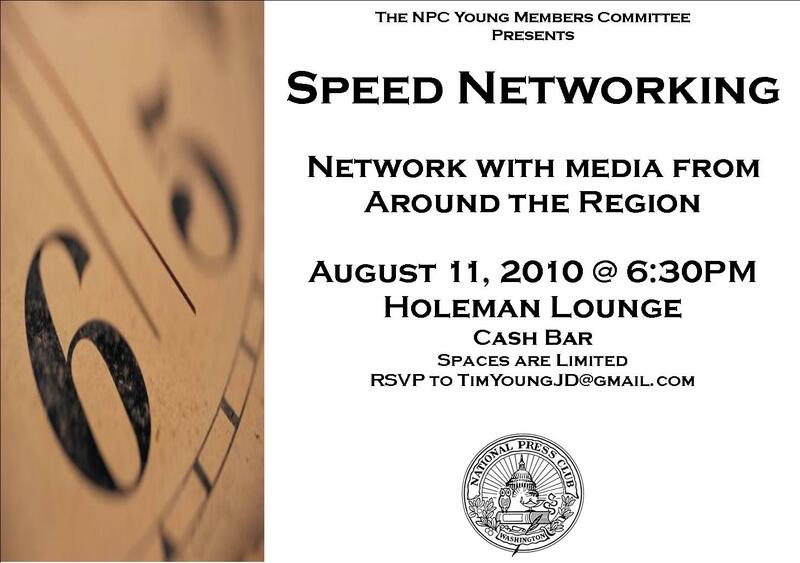 The National Press Club Young Members Committee is hosting a Speed Networking event for grad students (and undergraduates over 21 years of age) with representatives from media companies and PR firms across the region (Discovery, Bloomberg, etc.) on Wednesday night, Aug. 11, that begins promptly at 6:30 PM. If you’d like to attend, RSVP ASAP to Tim Young at timyoungjd@gmail.com. Also Wednesday night, an opportunity for those under and over 21 to explore the resources that public access television provides, and how it can enhance their media production experience, expand their film-making network, and contribute to a collaborative and creative film community. 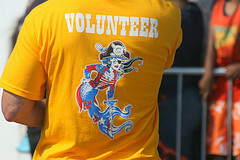 Arlington Independent Media, a leader in the field, will be represented, along with other stations from DC and Maryland. Gibson Guitar Gallery, 709 G Street, 6-9 PM. For more info and to register, see the DCFilm.org event listing.